Try My Anchor-Free Putting Technique and ... "Kiss Your Yips Goodbye!" 2. 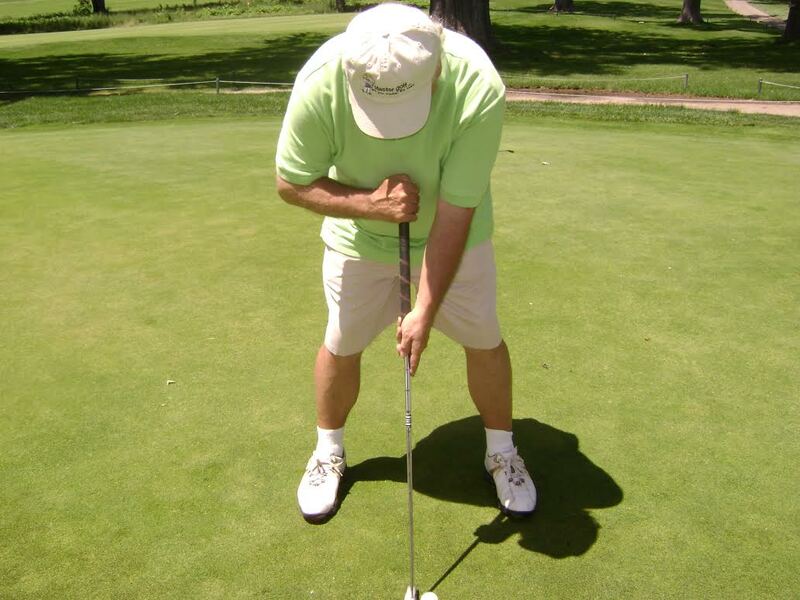 Those golfers who suffer with the putting yips and discovered that anchoring the putter to their body helps diminish the effects the yips have to their putting stroke. For those golfers who are using an anchoring technique simply because it helps them putt better, they will have to make the adjustment back to some form of anchor-free style of putting. But for those golfers who switched to an anchored putting stroke because it helps them with their yips – what are they going to do once the anchor ban takes effect? Well, I believe I will be able to help many of them by sharing my (Dominant Hand Theory) about the yips and the putting technique I discovered that cured my yips. But first, let me provide this brief description of what the putting yips are. The yips are a neurological disorder that cause involuntary movements of a golfer’s hands or wrists during the putting stroke. They tend to affect golfers as they age, but they can “pop up” at anytime and at any age, especially when there is a lot of pressure involved in making a putt. Currently the Mayo Clinic in Scottsdale, AZ is conducting on-going research on the yips. I suffered with a severe case of the yips for years, and I tried a number of different putting techniques to cure my yips but nothing worked for me. 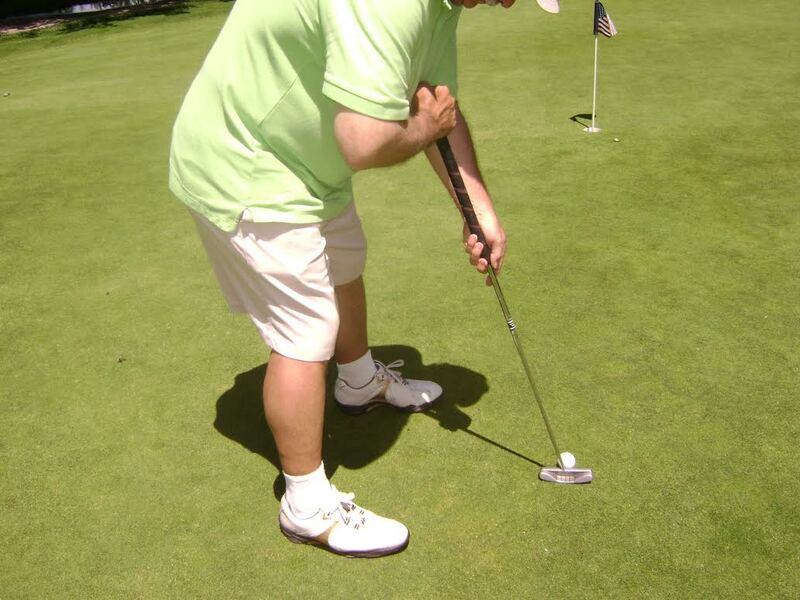 So I thought, as a last resort, I would try using the long-shafted putter to cure my yips. At the time I thought (as most golfers do) that if you get the yips – all you have to do to cure them is use a long-shafted putter. Well, as I found out – that’s not true at all. A long-shafted putter may help some golfers with the yips, but for other golfers it doesn’t help at all. So thinking a long-shafted putter was the answer, I bought a 43-inch putter and since I am right-handed, I held the end of the putter just below my chest using my left hand and used my right hand to stroke the putter. But when I stroked the putter using this technique – I still yipped…that’s right, I still yipped! My right hand & wrist still twisted uncontrollably during the putting stroke just like before. So now what? Still searching for an answer, I experimented with the long-shafted putter and switched hands – using my right hand (which is my dominant hand) to hold the end of the putter just below my chest and used my left hand to stroke the putter. THIS SIMPLE CHANGE CURED MY YIPS. I discovered this technique of using a long-shafted putter (cross-handed) back in 2006 and I have been putting “yip-free” ever since. I am not claiming my technique will cure all golfers who suffer with the yips, but I know it will help many golfers cure their yips and to me that’s worth sharing. My “Dominant Hand Theory” of the yips. Given my experience with the yips and analyzing my cross-handed putting technique, I believe I know why my technique works and why it will work for many other golfers. Even though the yips are a neurological disorder, they are “triggered” in many golfers by the movement of their hands & arms during the putting stroke. And for some golfers, like myself, it is the golfer’s dominant hand that is the primary factor in causing their yips. What I discovered is the relationship between the movement of my dominant hand during the putting stroke and my yips. And the key to the success of my technique is that my dominant hand & arm do not move during the putting stroke, and since there is no movement of the dominant hand & arm – there are no movement “signals” going to the brain to trigger the yips. And the best part about my putting technique is that it works “anchor-free” – you don’t have to anchor your dominant hand to your body. 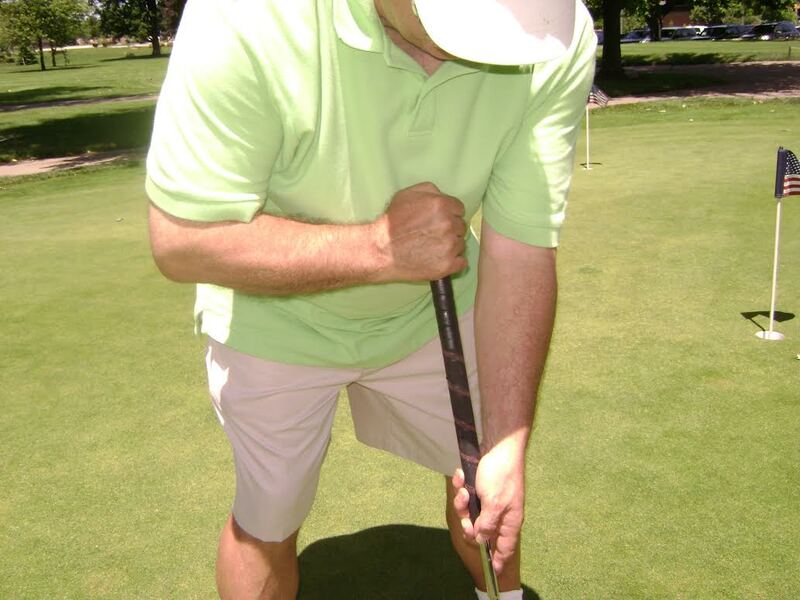 Using the long-shafted putter (cross-handed) puts your dominant hand & arm in a position where they remain motionless during the putting stroke – just hold your dominant hand & arm away from your chest and putt anchor free.